SONG LIEDER: Soprano Renée Fleming returned to The Kennedy Center in a performance with the National Symphony Orchestra with conductor Gianandrea Noseda, collaborating together for the first time. The conductor of the National Symphony Orchestra, Gianndrea Noseda. Soprano Renée Fleming is certainly no stranger to The Kennedy Center. Whether she is performing with the National Symphony Orchestra, presented in recital by Washington Performing Arts or acting in an artistic capacity, her mere presence is one that is reason enough for celebration. That was no different om Friday night where loyal fans packed the concert hall for her appearance with the National Symphony Orchestra. Though she has performed with the National Symphony Orchestra on numerous occasions especially during the tenure of Christoph Eschenbach, this performance marked her first performance with music director Gianandrea Noseda at the helm. The program itself was a rich offering of beloved Schubert songs treated to lush orchestral accompaniments, as well as incidental music from Franz Schubert’s opera “Rosamunde.” Opening the program was the overture from “Rosamunde” which set a dramatic tone for the evening with its dark, minor beginning, transitioning to a more spirited allegro section marked further by the upper sonorities of the winds and subtle punctuation by the principal timpanist Jauvon Gilliam. 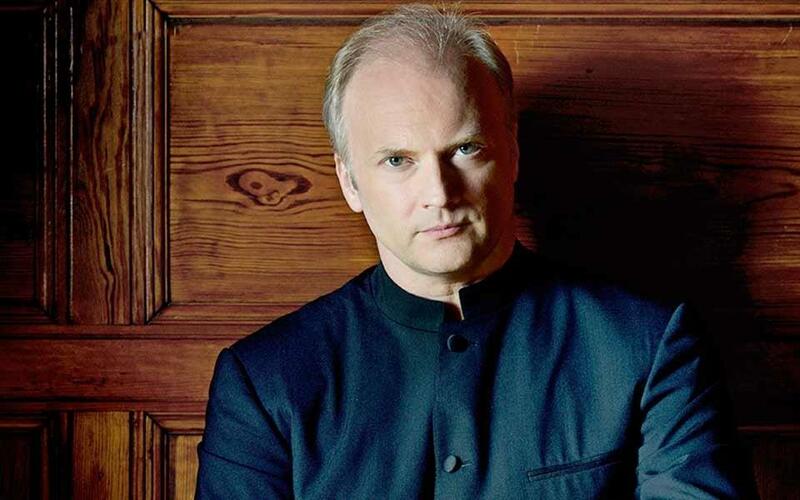 Conductor Gianandrea Noseda was a ‘ball of energy’ conducting the orchestra with verve and intense gesture. Likewise, the orchestra responded with articulation that gave life to the music, which was a constant throughout the evening. “An Sylvia” was the first vocal offering of the program and provided a nice foreshadowing of the program. Unfortunately, the trumpet obbligato part seemed to detract from the vocal line in terms of balance between the voice and the instrument. In “Im Abendrot” Fleming’s voice blossomed and in particular navigated the selection with such control, especially in the middle of the voice. It was interesting how the program was structured. The vocal selections were threaded together by several movements of the Incidental Music from Schubert’s “Rosamunde.” These selections almost gave the listener an opportunity to ponder on the poignancy of the previously sung text. Four more vocal offerings by Ms. Fleming were featured on the first half. “Nacht und Träume” or “Nights and Dreams” was beautifully sung with an ethereal sense of yearning and hopefulness. “Die Forelle” was a marked contrast from the previous renderings. Here, Fleming’s voice danced around the instruments like a playful fish in water. It was truly remarkable how each verse of the song, though the same music took on new meaning at each reiteration. The timeless “Gretchen am Spinnrade” gave the soprano the opportunity to tap into the dramatic nature of her operatic experiences. Though this piece is certainly not operatic per se, it afforded the soprano a chance to bring a certain level of character and nuance thoughout as the piece progressed. From feelings of grief to immense angst, Fleming transported the listener through a wide range of emotions. Ending the first half of the program featuring Fleming was “An Die Musik” which tied perfectly into Fleming’s opening remarks. Our time with Renée Fleming seemed to end all too quickly. The audience did not want to let her go. Cheering her through every entrance and exit, the hall was certainly packed with adoring fans. Much to great delight, the soprano offered the all-time favorite Schubert “Ave Maria” as an encore. For a first outing with Noseda, it was a promising collaboration. It would have been more advantageous to have programmed “Rendering: by Luciano Berio at the very beginning of the program. Unfortunately, after being mesmerized by Fleming, it was difficult for the audience to turn its full attention back to the instrumental offerings of second half of the concert with Noseda and the NSO. Yet still, the vignettes of Schubert themes, treated with a twist was greeted with enthusiastic applause. With Fleming’s alluring charm and Noseda’s charismatic conducting, this makes promise for exciting future appearances together.